A Stranger Earth: One (Or Lots) Of My Cockroaches Are Missing! 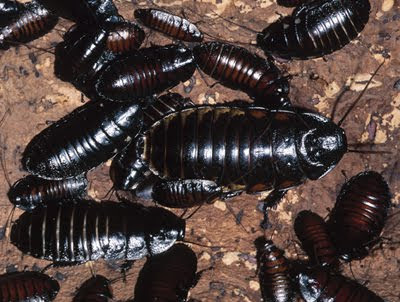 Ever heard the one about the case of the disappearing cockroaches in the ex-USSR states? I saw this story and thought of you. Could it be mobile phones??? Why is everything always blamed on mobile phones? Forum posts believe it to be a sign of the apocalypse. Any truth to the rumours? Possibly, but maybe not. There are lots of references on this Wiki page to Russian articles regarding the scientific basis. I suspect it's the USSR just wasn't that good at manufacturing cockroach poison. They were too busy beating America into space and digging really amazing submarine bases.